which this year will be held in President University, Cikarang. 1. Abstract Submission on May 22nd - July 1st, 2017, and there will be the announcement for participants that passed the selection on July 10th 2017. 2. 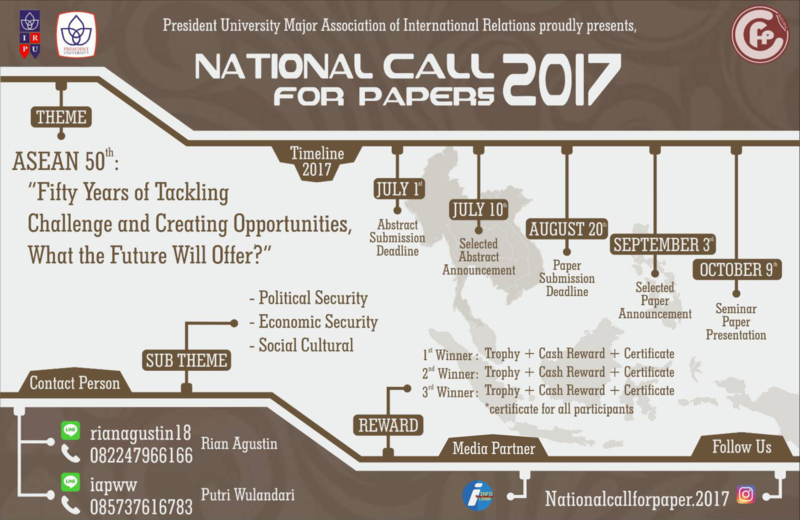 Paper Submission on July 11th - August 20th, 2017, and the announcement on September 3rd, 2017. 3. Seminar and Paper Presentation on October 9th, 2017 at President University. The registration fee is IDR 150k for each person and IDR 300k for group paper. The deadline for this registration and payment after the announcement on July 10th - August 20th, 2017.